All of the basic production locations (i.e. basecamp, parking etc.) 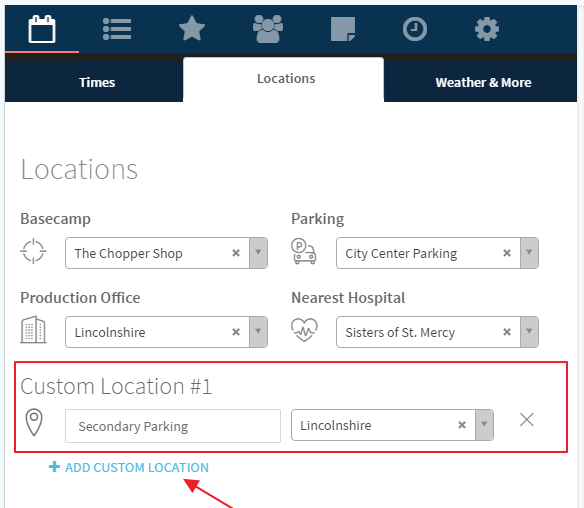 come standard in the “Locations” sub-tab, but if you need to add a custom location (like a seconday parking option) click the “Add Custom Location” button. Explain the location and select the actual address. 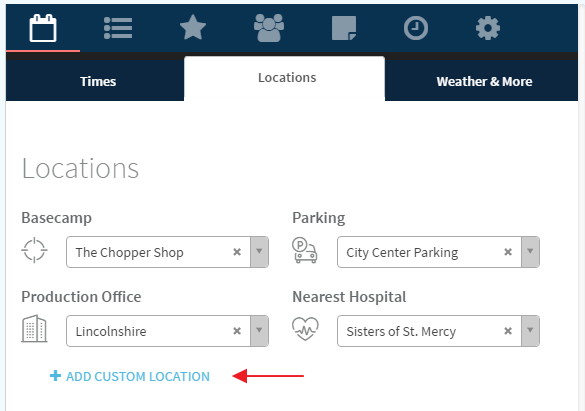 You can also add more than one custom location as needed. 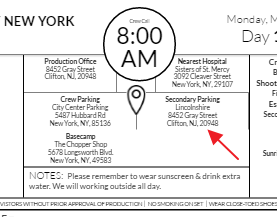 That new location will then be added to the location section in the header of the call sheet.